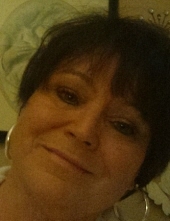 Glass, Joyce Ann - Age 67, of Millington, died March 21, 2019. No public services will be held. Joyce was born November 18, 1951 in Bluefield West Virginia. She enjoyed thrift shopping. Joyce is survived by her husband of 50 years Randy; 3 children: Randy Jr. of Millington, Bobby (Candice) of Flint, Jason (Christina) of Montrose; 4 grandchildren: Alesha, Allison, Emma, Lillian; great-grandchild: Brantley; siblings: Victor (Lucy) Belcher, Frank (Susan) Henderson, Zana (Wayne) Scott, Billy Henderson. She was preceded in death by her mother: Margaret. Tributes may be shared on the obituaries page of www.sharpfuneralhomes.com. To send flowers or a remembrance gift to the family of Joyce Ann Glass, please visit our Tribute Store. "Email Address" would like to share the life celebration of Joyce Ann Glass. Click on the "link" to go to share a favorite memory or leave a condolence message for the family.